Concentric's design engineers comprise a diverse group of men and women who are passionate about science, ideas and innovation. Three of them – Ed Zarzycki, Corinna Schweizer and Robert Johansson – sat down with us to share their reflections on what sustainability means in their daily work. Interview with Corinna Schweizer, Design Engineer in Germany, Ed Zarzycki, Senior Design and Development Engineer in the UK and Robert Johansson, Design & Applications Manager in Sweden. 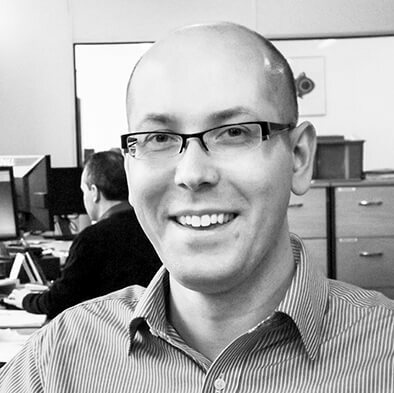 We start by asking them a simple question: "What does a design engineer at Concentric do?" Ed answers first: "Concept design, detailing, simulation control, test and validation." Corinna nods in agreement. "Yes, that’s a good summary. I also think a really important part of our job is communicating with the sales teams and customers concerning design questions. Otherwise, I personally do a lot of project management, planning of tests for new products, and documenting our findings." She pauses for a moment. "One thing I really love about my work is that sustainability is deeply relevant to it. Sustainability for me is acting with respect for the world of tomorrow and saving the environment for future generations. A big part of that is minimizing waste and protecting the world’s water supply. We are doing this in our design work by making smarter, safer material selection choices – cutting out the use of toxic substances, for example." "I've been with Concentric for nearly 14 years now, and in my experience sustainability has always been an important consideration in our design engineering process," Robert says. "Sustainability and efficiency tend to go hand in hand, really. As design engineers our task is to develop new products and solutions that perform better than previous-generation products while at the same time using less energy. That’s what our customers – and their customers – demand, and that’s what we strive to deliver." "I'd say that there are two main aspects we have to consider," Ed adds. “The performance of the products themselves is a very important part of how sustainability fits into our work, obviously, but we also make significant contributions to sustainability on the production side. At Concentric, we strive to be smart about raw materials – we’re always on the lookout for ways to avoid unnecessary overconsumption and waste production. The efficiency gains that result from this approach are substantial." Corinna points out that sustainability in the design process at Concentric is highly influenced by the input that comes in from customers, both directly and via the sales teams. "Many of our customers take sustainable business practices very seriously and they are continuously raising the bar for their suppliers,” she stresses. “This is good for Concentric because it helps us differentiate ourselves from our competitors, who in many cases have not come as far as we have in their sustainability work. Our customers are counting on us to develop the innovations they need to both meet and exceed increasingly strict regulations and legislation." One obvious example of that, Ed explains, is that customers are under increasing pressure to reduce their CO2 emissions, which requires fuel efficiency improvements. "We've been working on this issue for a long time, and our line of variable flow products has been available for over ten years now," he comments. "They are tried and tested, robust and reliable. Our variable flow oil pump technology provides 1.25 percent fuel savings, which is really significant in our industry." 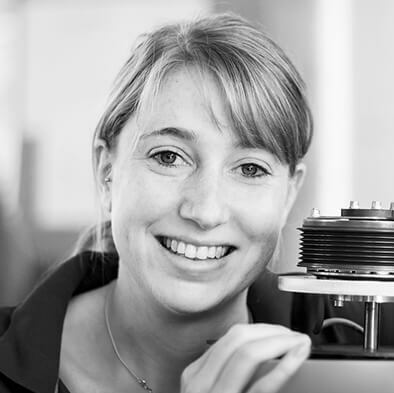 "Similarly, my team is proud to have developed a water pump clutch that provides fuel savings of 0.5 to 1 percent, which is also very significant," Corinna points out. "And on the Hydraulics side, we offer an electrohydraulic unit that uses much less fuel than a conventional solution," Robert adds. 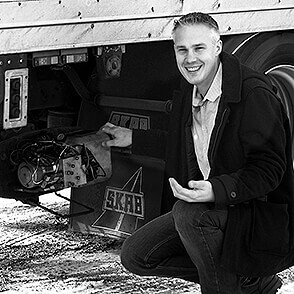 "In the Hydraulics business we are very focused on reducing energy consumption and weight as much as we can, allowing customers to improve fuel efficiency and use smaller and lighter batteries." According to all three of them, the biggest challenge Concentric faces in terms of developing more sustainable products and solutions is market-readiness to bear the higher costs. "More efficient and lightweight products are possible, but they are perceived to be too expensive for the market," Ed explains. "For example, pressure die cast aluminium is a common material used in the industry today. Magnesium castings are 30 percent lighter and more energy efficient to manufacture, but they would increase the price of the end products." Despite the challenges, they all agree that the future is bright. "New doors are opening up every day," Robert says. "For example, we are working closely with the hybrid groups at the big truck manufacturing companies where there is a higher level of acceptance for new ideas. They are extremely keen to improve energy efficiency, and one way to do so is to improve energy recovery. We are hard at work finding new solutions. It’s a very exciting time to be in this line of work."